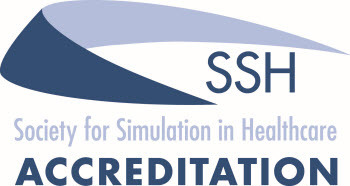 The Society for Simulation in Healthcare (SSH) has granted accreditation status to the Peter Winter Institute for Simulation, Education, and Research (WISER). The accreditation process included a rigorous evaluation to ensure WISER is in compliance with or exceeds established best practice standards for simulation center administration, operations, curriculum development, teaching, quality assurance and improvement, governance, patient safety engagement, assessment, and education research standards. The nearly year long endeavor included a comprehensive submission package in excess of 2,000 pages, as well as a site inspection from reviewers that occurred in early November. Accreditation was a multi-step process that WISER began in early 2012. Over a period of several months, WISER faculty members and staff collected information and developed reports to address each area of the application. The site visit by the SSH assessment team occurred on November 8th. The assessment team reviewed the facilities and interviewed dozens of students, faculty members and staff. Trace queries were selected on site by the assessment staff to provide thorough verification of the submitted material. After the site visit, the assessment team compiled a comprehensive report of its findings and submitted them to the SSH Accreditation Board of Review. In evaluating all of the information provided to the Board of Review, WISER was accredited in the Core Competency domain as well as all four elective areas of Assessment, Research, Teaching, and Systems Integration. WISER is only the second program accredited in all four areas of focus recognized by the SSH Accreditation Process. Having been granted accreditation in all four elective areas is a significant milestone, as WISER is the only civilian simulation center to have achieved this distinction.